The SCA relies on the generosity of its members and friends to fund important programs. Please consider a financial contribution to the SCA! Cars, Trucks, Motorcycles, Boats & RVs! The SCA has teamed up with Car Donations Services, Inc. to provide you with the easiest way possible to donate your vehicle whether it is running or not! For more information contact Car Donation Services at 1-888-686-4483 or click here to donate directly. Get rid of that unneeded vehicle and receive a tax deduction! It’s easy! Be sure to designate the SCA as your charity of choice. The SCA relies upon the generosity of its members and friends to fund important programs. 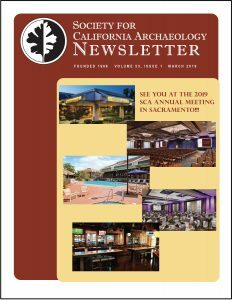 Please consider a financial contribution to the SCA! Donate Here! 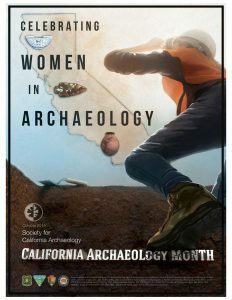 The Society for California Archaeology is a nonprofit scientific and educational organization dedicated to research, understanding, interpretation and conservation of the heritage of California and the regions that surround and pertain to it. Click here to read the entire Mission Statement.